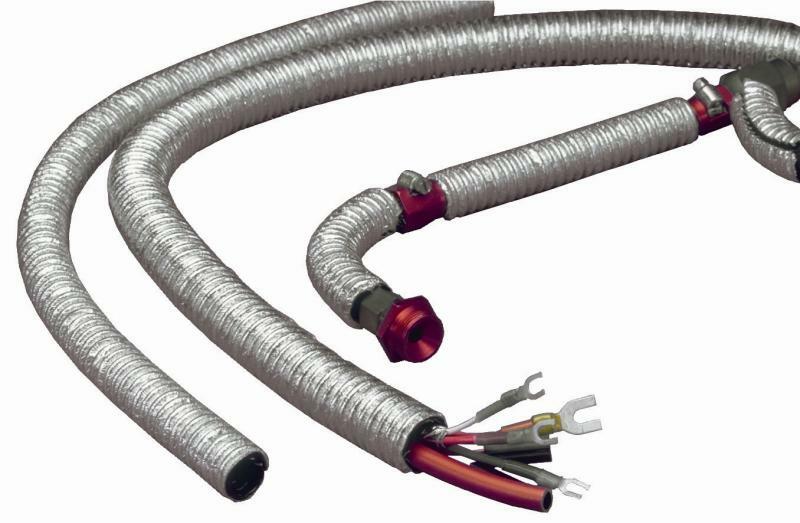 DEI Cool-Tube is designed to protect wires, fuel and brake lines and other areas from extreme heat. Capable of reflecting radiant heat up to 500°F, Cool-Tube reduces temperatures by an average of 43%. Manufactured from convoluted nylon 6 tubing (not with inferior plastic) and covered with an aluminized fiberglass fabric. Cool-Tube combines flexibility with maximum thermal protection and resists abrasion, chemicals, oil, condensation and other contaminates. 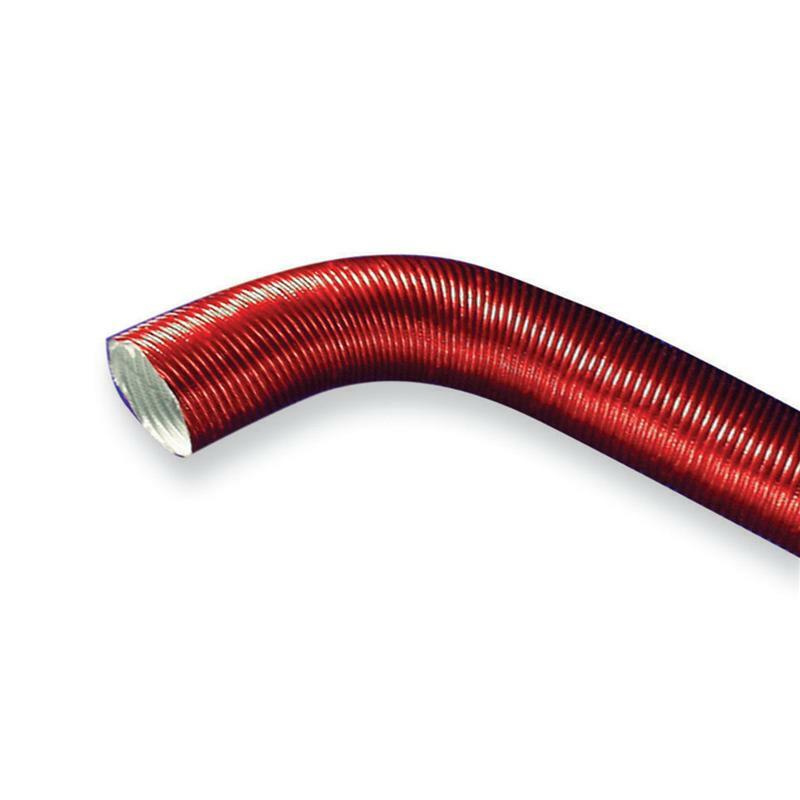 Cool-Tube can be slit lengthwise for ease of installation eliminating the need of disconnecting wires, fuel or brake lines. Cool-Tube is available in 1⁄2” and 3⁄4” diameters in both 3’ and 15’ lengths. DEI Cool-Tube Extreme is wire re-enforced and constructed of a special composite material with a stylish aluminized mylar outer covering. 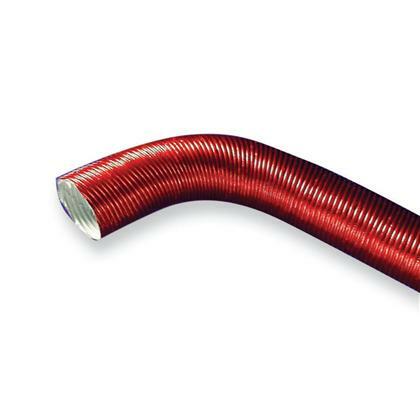 Capable of reflecting up to 750° F radiant heat, Cool-Tube Extreme is flexible enough to conform to the tightest bends and protect even the most difficult to reach spots. Cool-Tube Extreme is ultra light and has many uses and supplies a quality finished look.